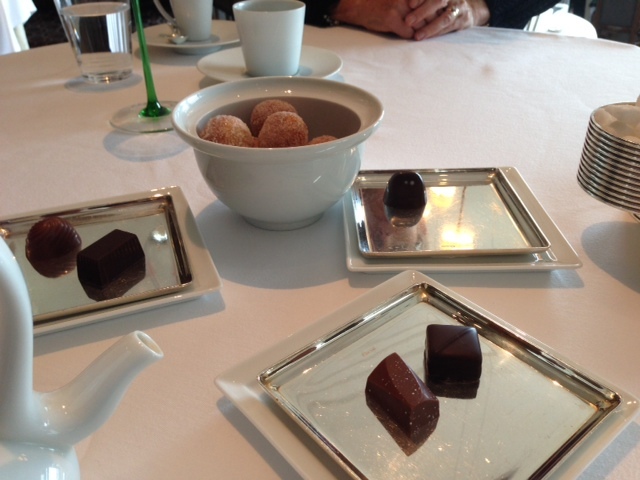 At Friday noon, I got the dining experience of a lifetime — lunch at Thomas Keller’s Per Se. My parents had to call at exactly noon thirty days ahead to get this reservation and I’m so glad they did. Four courses of the most delicious savory dishes — oysters and pearls (tapioca), summer vegetable salad, scallops and lamb — followed by another four courses of dessert! 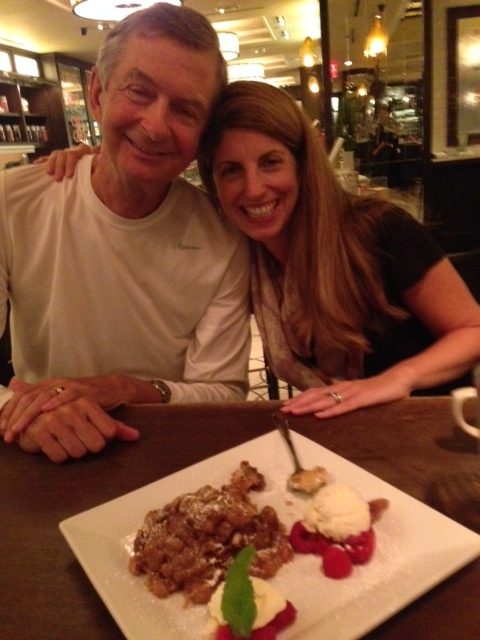 FOUR COURSES of dessert, people! The “donuts and hot chocolate” were my favorite — warm, sugared donut holes with a hot chocolate mousse — un-freakin-believeable. Here’s a picture from one of our chocolate courses. At one point the server brings out a huge box of chocolates and recites every flavor (by memory). He then asks which you’d like. Is it okay to take them all? On Saturday we had another fine-er dining experience at Bar Modern, which is attached to the Museum of Modern Art. So, so, so good. I had the mushroom soup and lobster gnocchi, which pretty much knocked my socks off. Dessert was warm beignets with caramel, mango, and dulce de leche dipping sauces. Also, great people watching here. Note that you can eat in the bar (more casual) or the restaurant (more formal). We did the bar, which is kind of deceiving because it’s still a restaurant. So great I forgot to take a pic! On Sunday we did a walking food tour through the NoLiTa neighborhood — basically a little pocked tucked in just north of Little Italy. (If you’ve never done a food tour, get thee to Foods of New York. They do them in little neighborhoods all over the city and they are AWESOME.) This tour is where we found the best neighborhood gems. 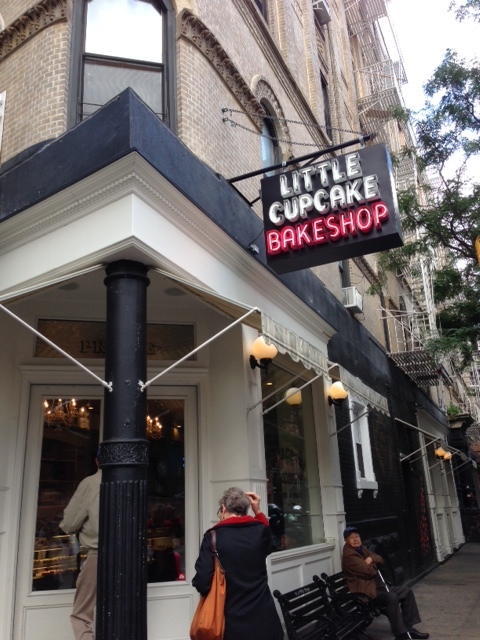 We started at the Little Cupcake Bakeshop which had a really top notch Brooklyn Blackout cupcake (think chocolate, chocolate, chocolate). The shop just happens to be the cutest cupcake shop ever (and I’ve been to almost all of them in NYC). Just don’t go to the bathroom. I almost spent the rest of my trip there because I got locked in. Awesome, right? Go there anyway. One of my favorite stops was Emporio. Technically, it’s a pizza place, but that description does not do it justice. 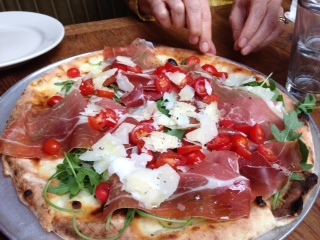 The owner is committed to true Italian style pizza, made simply and freshly (is that a word? ), cooked in a brick oven. We watched our arugula and prosciutto pizza being made and I almost cried it was so good. They also make all their pastas fresh each day. For dessert, our chef Brian made us a Nutella pizza. Yup. I pretty much threw myself at him. (Kidding, honey.) Did I mention Alec Baldwin had his rehearsal dinner here? 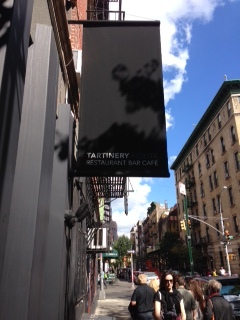 Next we hit Tartinery, a French restaurant that serves casual meals (tartines are kind of like sandwiches on the greatest baguette you’ve ever tasted). We had a roasted chicken tartine and some wine. At 11am. Enough said. I would definitely come back here — a super hip place to enjoy a casual meal with friends. 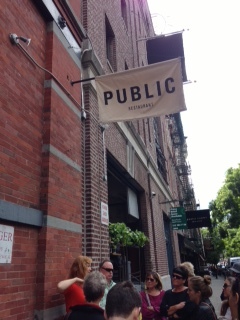 We didn’t get to eat much at Public, but I will definitely be back. They had these coconut pancakes with fresh ricotta, mango salad and ginger-lime syrup on the menu that almost got me to leave the tour and sit down for a meal. 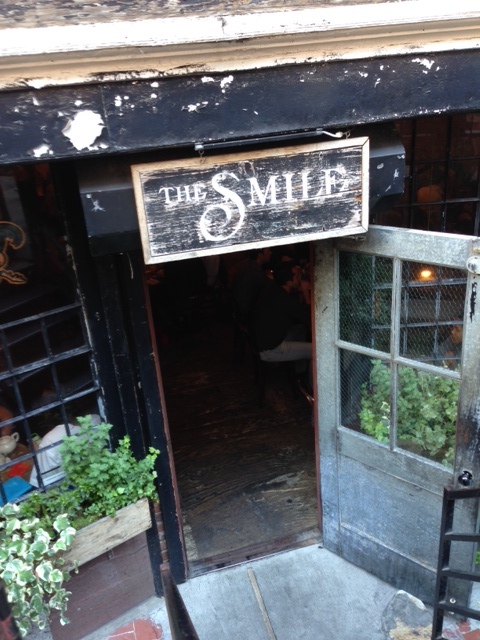 And probably my favorite little gem (and the first place I’ll be back to) was The Smile. This is an itty-bitty place shoved in a basement. (Will Smith lives above it!) It serves modern Mediterranean food and I have to tell you the homemade ricotta we tried was off the charts amazing. Smeared on some perfect bread with a fresh tomato on top, I joked with my parents that I’d choose it over chocolate. I’ve never said that about anything. Put it on your list. We hit a couple of other places on the tour, but the ones above were the standouts. What are your favorite NYC eats? 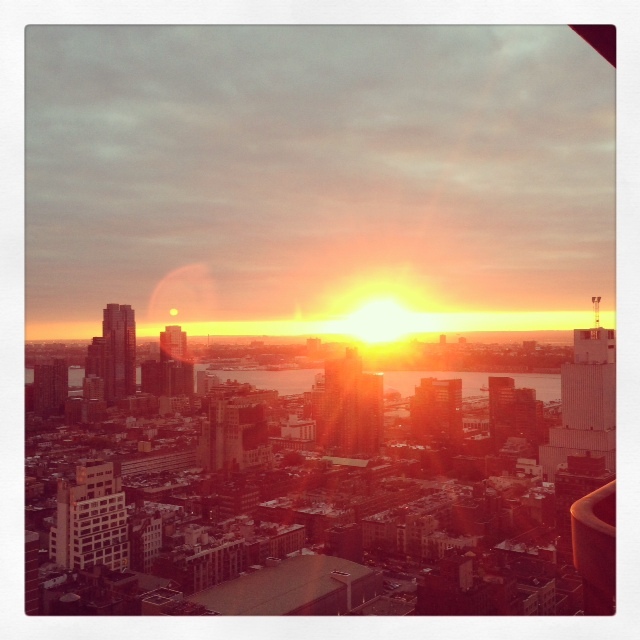 Great post Lindsay – makes me want to go to NYC!!! 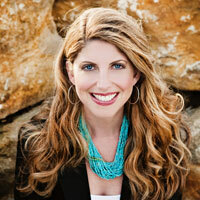 Looks like you and your family had a great time! We are finally home so I got to read your post. Makes me hungry all over again.